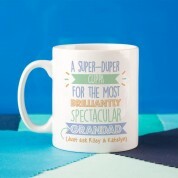 This personalised "Best Grandad" mug is the perfect gift for children young and old to give to their grandad. It accentuates just how brilliant your grandad is, and is a great place for him to store his drink. 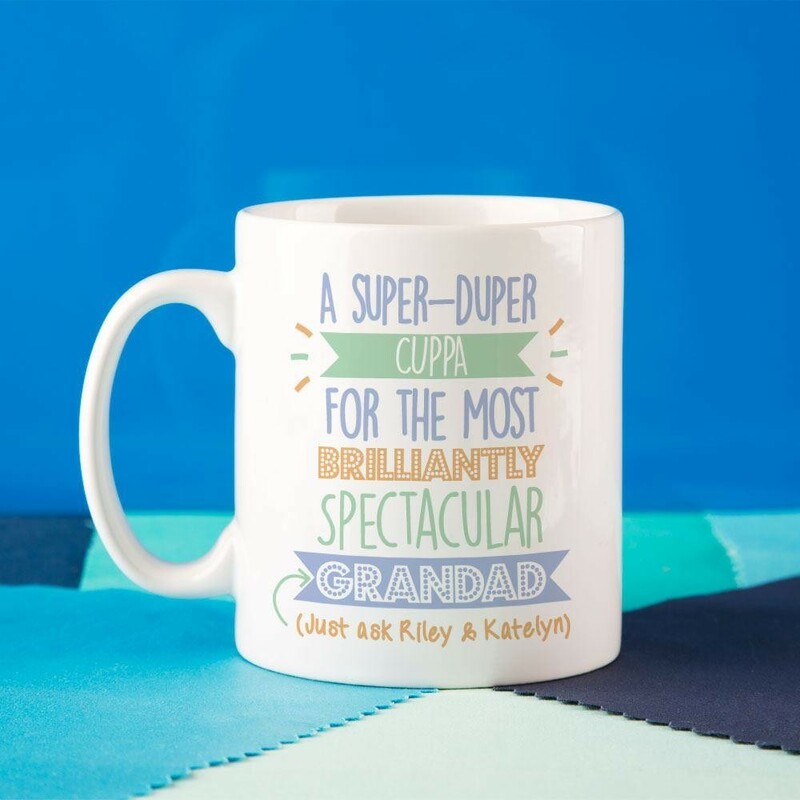 A personalised mug makes a thoughtful gift to give to grandad for his birthday or Christmas. It features an eye-catching blue, green, and orange design, which will look great sitting on his coffee table. 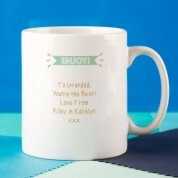 The mug is personalised in house so we can add any term of endearment (grandad, papa, grandpa etc) and sender's first name to the front and a short personal message for your grandad on the back. 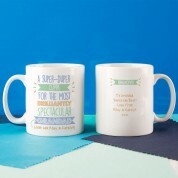 We also sell a matching coaster which would be ideal for resting your grandad's cuppa on. Although this mug is 'dishwasher friendly' we would recommend that you hand wash it.